In 1977, a team headed by Carl Sagan sent two golden records representing the sounds of planet Earth out into space. Now, another team is sending art into the cosmos in an even more ambitious project—and you can help. Moon Drawings is a project created as part of the Moon Arts Group, an initiative at Carnegie Mellon University. 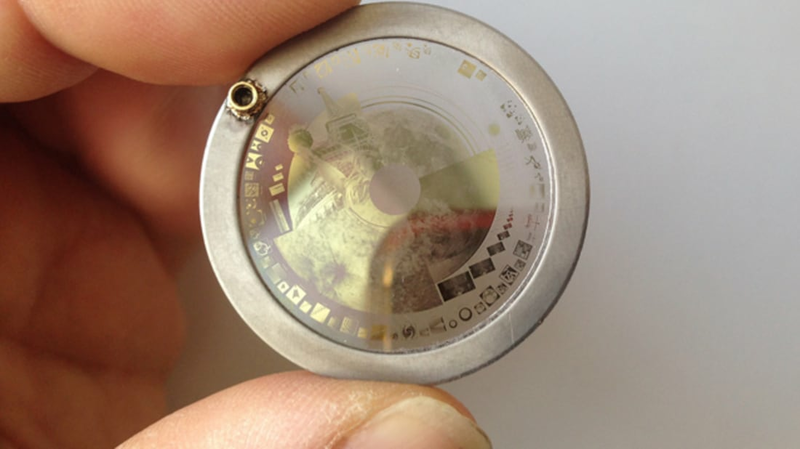 Through May 7, anyone can sketch a drawing on the group's website, and the drawings will then be etched into a 39mm sapphire disc as part of a sculpture called the Moon Arts Ark. Once it’s loaded into the sculpture, your drawing will be rocketed to the moon aboard a SpaceX Falcon 9 rocket sometime in 2016. The Moon Arts Ark has four titanium chambers that will hold the two sapphire discs containing the artwork, along with sculptures, microcapsules containing evidence of life on Earth, and images on metal foil. Your drawing might even be traced into the moon’s soil by a rover called Andy, whose mission is to investigate a pit in the Lacus Mortis region. Circumstantial factors like power levels, operational condition and ground safety will determine whether Andy will be able to execute the creative portion of its mission. Should things go according to plan though, these tracings could be seen by orbiting telescopes and, thanks to the lack of weather on the moon, could last for thousands of years. A jury will select the artists for this celestial honor. In other words, bring your A-game. An extraterrestrial might see it someday.